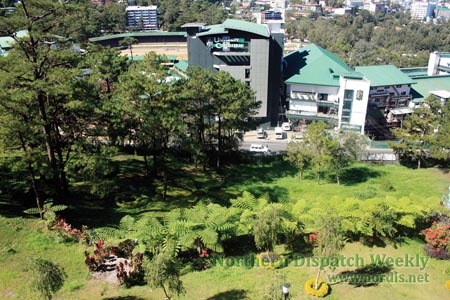 After seven years, a bitter-sweet victory for those who stood against the cutting and earth-balling of trees for the expansion of SM Baguio after the Supreme Court, on April 10, ordered the mall chain to cease from cutting more trees and secure another environmental compliance certificate before it can continue. 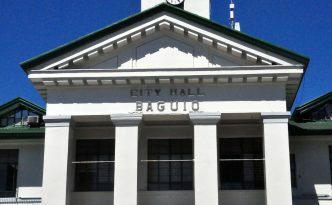 Baguio Water District General Manager Salvador Royeca reminded politicians to be mindful of the water issue in the city not only during the campaign period but as part of their governance agenda when elected. 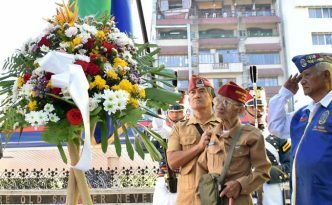 Barely holding back his tears, 98 years old Tuacan Barian of Province of Benguet recalled how they gallantly stood their ground against the Japanese Imperial Army in the name of freedom and dignity during the commemoration of the 77th year of the “Araw ng Kagitingan” in Baguio City. Mahalaga ang pagtatampok ng kulinaryang katutubo upang hindi ito tuluyang maglaho sa paglipas ng panahon. Ang pagtatampok ng mga fusion food o paghahalo ng lokal at dayuhang kulinarya ay isang pag-aangkop sa nagbabago o impluwensyadong panlasa ng kasalukuyan gaya ng pizza ng Apayao. Ngunit mahalagang mabantayan ito para hindi mawala sa paglikha ng fusion. In a press conference on April 4, the dean of the University of the Cordilleras College of Nursing Judith Magwilang together with officials of the Philippine Nurses Association (PNA) asserted that nurses or anybody for that matter, fighting for just wages and stable jobs and advocating peace do not deserve to be vilified nor be associated with any armed groups. 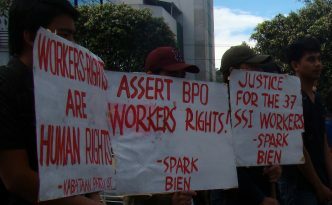 The BPO Industry Employees Network (BIEN) Baguio Chapter appealed to local candidates to support the passage of the proposed ordinance to protect BPO employees. 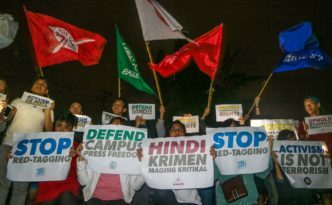 Despite the intensified threats, red-tagging and vilification against progressive groups and activists, youth groups in Baguio City are not deterred, and are finding ways to fight back. Food is gift that people should be thankful for and should share with family and in the indigenous culture, the milestones in a person’s lifetime are marked with ritual feasts shared with the community. 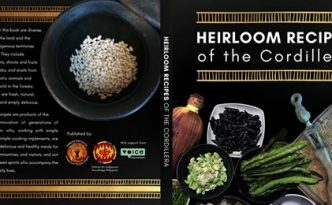 Launched in Baguio City on March 26, the Heirloom Recipes of the Cordillera, is a compilation of 100 indigenous Cordillera recipes documented from the six provinces of the region. It has seven chapters: Rice, Roots, Vegetables, Fish Crabs And Snails, Meat, Preserves, and Drinks. 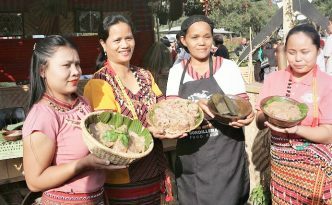 It is a project of the Philippine Task Force for Indigenous Peoples and Partners for Indigenous Knowledge-Philippines. 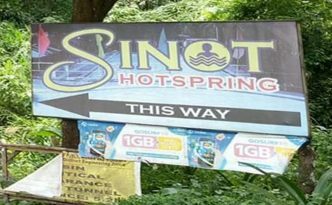 A Benguet court found the City of Baguio and a private contractor guilty of illegally occupying a portion of the Sinot Hotspring Resort in Nangalisan, Tuba. 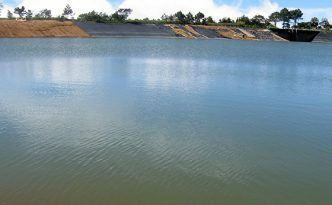 The city government is eyeing the development of the BIBAK lot along Harrison road into a temporary pay parking area to address the needs of tourists and residents. Councilor Elmer Datuin said Ramon “Bong” Revilla, Jr. broke protocol when he went to shake the hands of some visitors last Saturday, March 2, during the Panagbenga Grand Street Parade.